Q: What is the attraction of a primary market listing? A: The main reason companies list is to raise capital and spread the risk of ownership among a large group of shareholders. Spreading the risk of ownership is especially important as a company grows, with original shareholders wanting to cash in a percentage of their profits but retain part of their investment. Another influencer is a local bank’s ability to lend or not, and a business’ valuation in the public market. 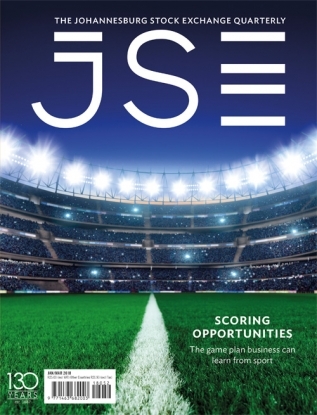 Aside from capital raising, there are significant benefits – among them the potential of increased shareholder investment value; access to other forms of finance; the ability to fund acquisitions; employee stock options; market exposure to mutual and hedge funds, marketmakers and institutional investors; and the potential for inclusion in the FTSE/JSE indices. What makes the JSE a particularly attractive listing destination is the overall quality of its listing standards, fees, regulatory environment and institutional investors. It stands out as being one of the few multiple asset-class marketplaces, across both local and international investor sectors, offering secure markets with world-class regulation, trading and clearing systems, settlement assurance and risk management. Q: How do the bourse’s primary markets compare to international exchange offerings? A: Bear in mind that companies consider three things when choosing where to list, namely the actual out-of-pocket costs for establishing and maintaining the listing; the effects on valuation and liquidity; and the non-financial benefits. While each exchange has its own unique value proposition, the JSE’s includes being able to present a world-class trading engine, quick turnarounds for listing applications and a diversified investor base, all of which are attractive to issuers. 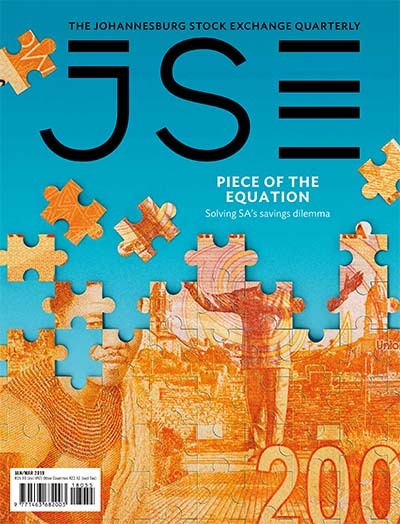 In support, the JSE has a baseline listing of almost 400 companies, totalling close to R15 trillion in market cap and R2 trillion in government debt issuances. 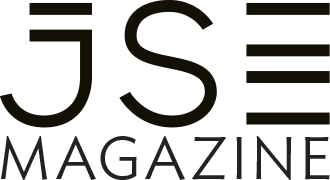 Q: How influential is the JSE in setting standards that reassure listers of its credibility? 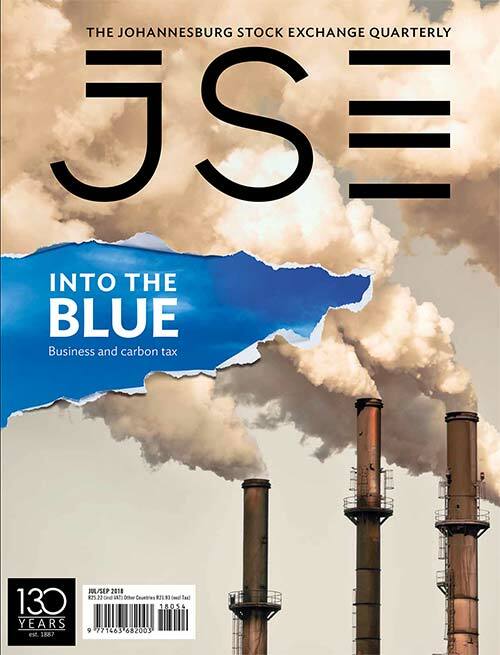 A: As part of the JSE’s commitment to building better markets, we are the first emerging market and stock exchange globally to introduce an exchange-sponsored sustainability index measuring companies on indicators related to environmental, social and governance (ESG) practices. We are a signatory to the UN-backed Principles for Responsible Investment (PRI), the UN Global Compact, and a founding partner of the Sustainable Stock Exchanges Initiative. 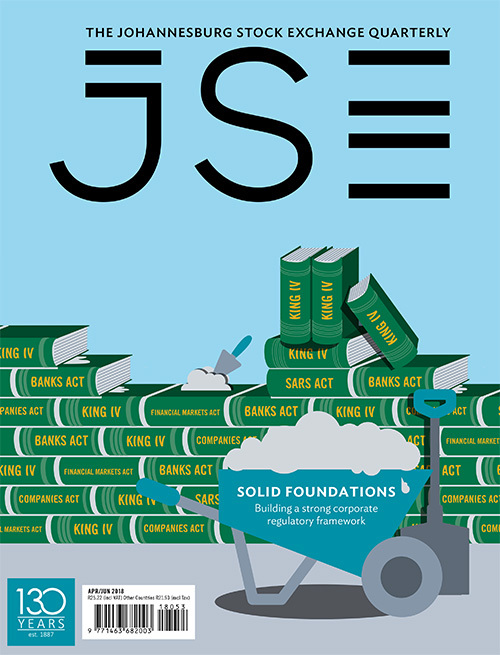 The JSE’s listing requirements around the King Code of Corporate Governance has been influential globally and, following King III, we are the first stock exchange worldwide to incorporate the move towards integrated reporting. Q: What key factors should companies consider before listing? A: Listing on the JSE is not an escape route for a company in trouble looking to cash out; nor is it an opportunity for a company without clear direction seeking growth. There are many pros and cons that have to be weighed up. The decision to list should meet the long-term objectives of the firm rather than benefiting from a day’s favourable conditions. Markets are both cyclical and changeable, and share prices move accordingly. Companies looking to list need to take this into account and have a long-term view in mind. The decision to list demands an in-depth understanding of a company’s management, resources, stage of development, long-term future goals and strategy. Pertinent key questions should be answered. Where is your business plan taking the company? What are your likely capital requirements? How strong is your competitive position and how can it be maintained and strengthened? What is the quality and experience of the management team? Are all members of the management team working to the same agenda? What outside perspectives, such as non-executive directors, does the board have access to? And what will attract investors to the company, and what is the commitment to spending time communicating with them? 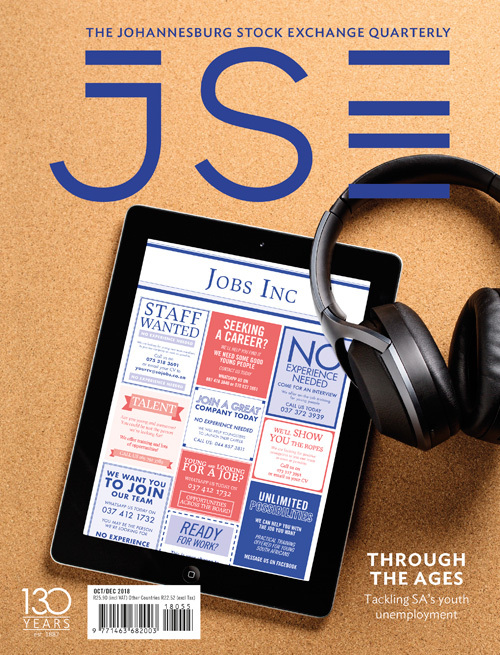 Q: How do you encourage foreign listings on the JSE? A: The JSE actively targets international issuers and to that end we constantly improve procedures and minimise the time frames associated with the listing process. Fast-tracking a listing is an example of how we accommodate the needs of foreign primary listers. This system eliminates the need to produce a prelisting statement or prospectus, as is usual in secondary inward listings on the JSE. 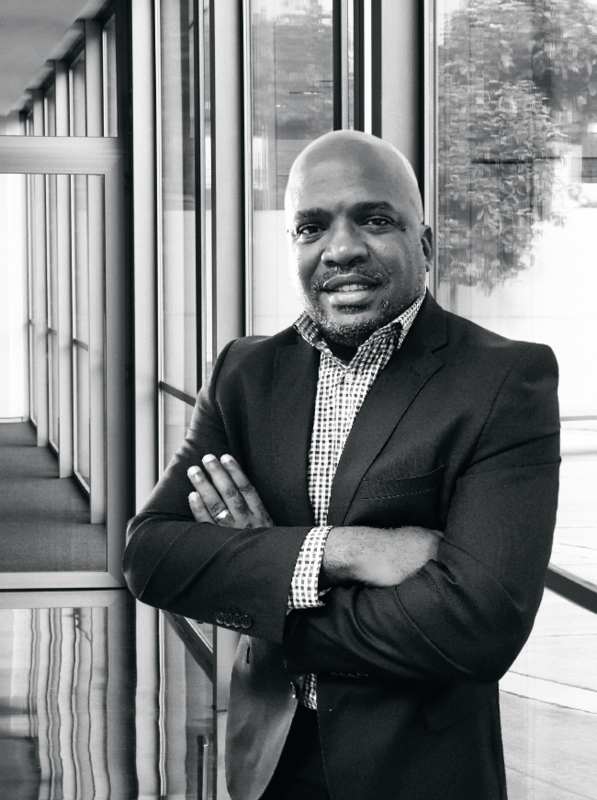 Although fast-track listings require an issuer to announce its prelisting by providing certain information about the business, such data is already in the public domain of the JSE. Another significant advantage for foreign listers on the JSE is that they are viewed as domestic businesses for investment purposes. Q: What are depository receipts and why do they appeal to foreign listers? A: The negative perception about African economies appears to be changing as investors are increasingly taking an interest in participating in the continent’s capital markets through the use of depository receipts (DRs). Essentially, these are negotiable certificates of debt or equity that can be traded on a foreign stock exchange and issued by an overseas depository bank to foreign investors. A local company can trade its shares in the international markets by issuing a DR to investors. A DR programme is a useful option for companies listed on a foreign stock exchange seeking to further expand their equity base outside their home market. Thus, a company trying to raise capital may use a DR as a capital-raising tool to access capital overseas. Q: What is your prime objective in your new position? A: My contribution will be in building better markets and making the JSE the preferred listing destination for local and international companies looking to raise capital.